Biotechnologically manufactured drugs are one of the most important pharmaceutical trends to emerge during the past few years. In cancer therapy in particular, the advent of antibody-drug conjugates (ADCs) has opened the door to new, extremely promising treatment options. But these medications are also highly toxic and the effective protection of human operators and products from each other calls for special safety measures. As a result, the demand and, above all, the requirements for barrier systems such as closed RABSs and isolators continue to grow. Thanks to major scientific advances in biotechnology, we are witnessing pioneering developments in therapies for cancer, autoimmune disorders and orphan diseases, which only affect a small group of patients. At the same time, the number of biologics that have to be produced under highly sterile conditions is increasing significantly. One particularly promising area of R&D is ADCs, which offer a new mechanism of action by combining the targeted effects of monoclonal antibodies with highly effective traditional cancer medications. 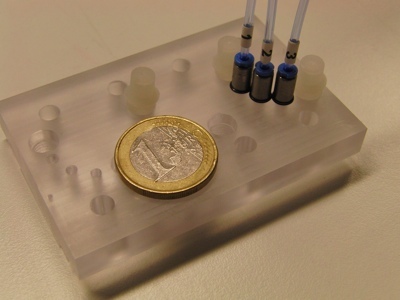 These powerful biopharmaceuticals combine certain substances with an antibody, which in turn bonds with a target structure, such as an antigen on the surface of a tumour cell. In this way, medications such as cytostatics — natural or synthetic substances that inhibit cell growth or cell division — penetrate the cancer cell like a Trojan horse to deliver their chemotherapeutic effect. As a result, no harm is done to healthy cells, and the side-effects are substantially less pronounced than with most other cancer therapies. 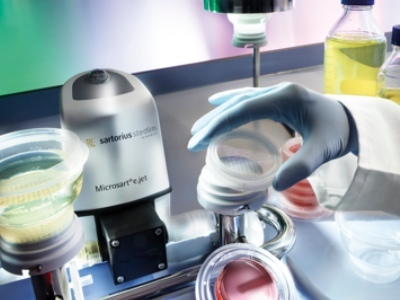 Given the increased complexity of these new biologics, the safety requirements to manufacture and fill them have also become more stringent. ADCs, for example, are particularly potent, making contact with them a critical safety risk for machine operators. At the same time, the operator is the primary risk factor in terms of product contamination. Accordingly, using a closed barrier system (closed RABS, isolator or containment isolator) for these medications is vital. In a hermetically sealed system, the operator and processing area are completely separated, and the doors cannot be opened during production. 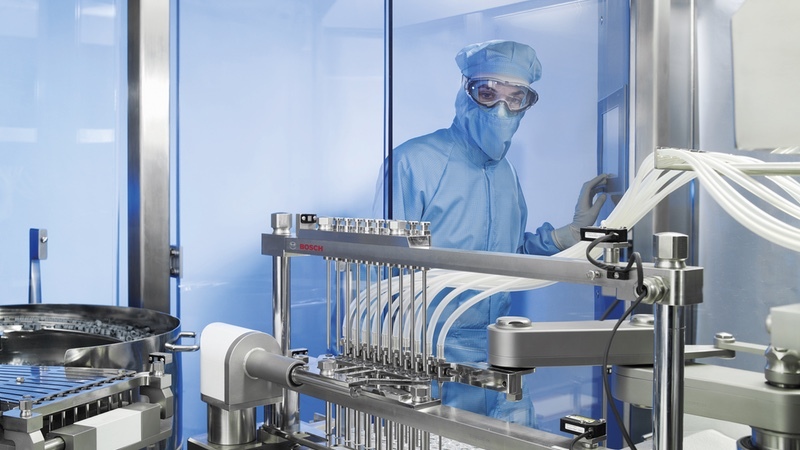 Thanks to their automatic biodecontamination cycles, isolators can be used in Class D or C (ISO 8) cleanroom surroundings. 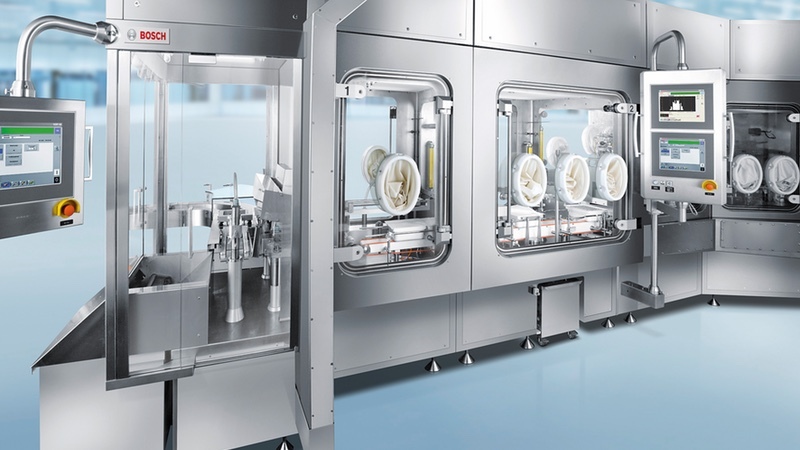 In addition, they have their own ventilation system, which not only ensures sufficient air movement, a stable temperature and humidity, but a constant positive pressure in the processing area as well, which is the essential basis for an aseptic filling process. Highly potent pharmaceuticals have to be filled according to good manufacturing practice (GMP) criteria on the one hand, and in a safe setting that fulfils the requirements for EHS (Environment, Health and Safety) on the other. Certain threshold values are intended to ensure that the operator’s health is not jeopardised, which can be quantified using two approaches. The Occupational Exposure Limit (OEL) is measured in micrograms per cubic metre and refers to the maximum allowable concentration of a substance in the air during the course of an 8-hour shift. In contrast, the Occupational Exposure Band (OEB) defines the toxicity of a given pharmaceutical substance. For many years, a maximum OEL of one microgram per cubic metre was considered to be the highest allowable concentration. Using the Empire State Building in New York City as an example, this would mean the entire building could not contain more than one twentieth of a teaspoon of the substance in question. Today, the requirements are only more demanding for a handful of pharmaceuticals, including ADCs. 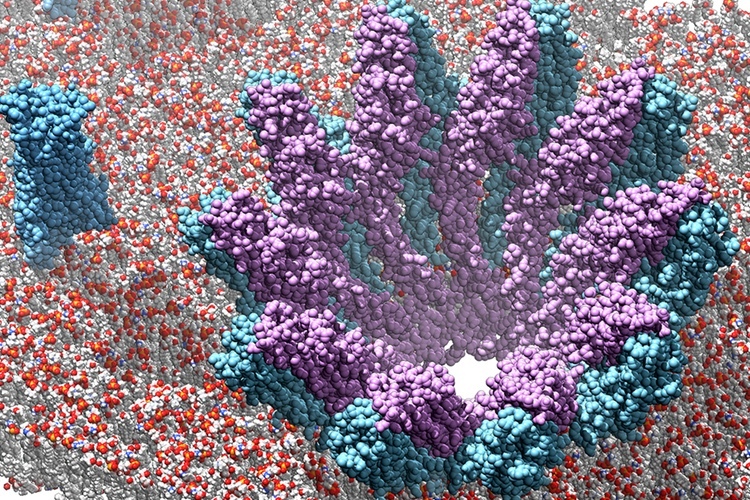 Here, the goal is to limit the substance concentration to the single-digit range of nanograms per cubic metre. To effectively reconcile the requirements of GMP and operator safety, more stringent safety measures are needed, which affect isolator design, airlock systems, air management and cleaning processes (clean-in-place [CIP] and wash-in-place [WIP]). With regard to isolator design, an important safety improvement can be implemented in the door seals: a specially designed vacuum door system offers a number of advantages compared with inflatable seals, which are the common industry standard. 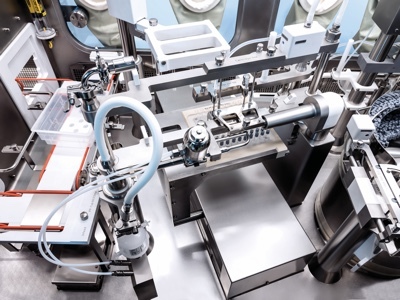 In addition to several static seals, an active vacuum ensures optimal protection for product and operator alike under all production conditions. Operator protection is particularly important with regard to lyophilised products, as their toxic substances are bound in liquid but not in freeze-dried form. Hence, a broken lyophilised product container poses a health risk to the operator. If, in the worst case scenario, one or more of the static seals on the isolator doors fail, the active vacuum can still protect the operator — but the same cannot be said for inflatable seals. 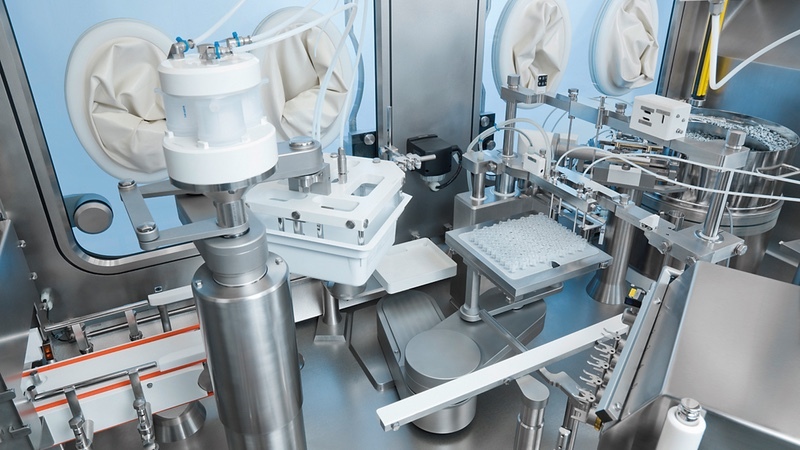 Container infeeds — most often the vials used with freeze-dried products — usually involve a rotary table located in a separate section of the isolator. As the infeed area is operated at a higher pressure than the toxic filling area, the highly potent substances should remain contained. The adjacent filling and closing area, where the vials are filled and lyophilised, is especially critical: no air from the contaminated area is allowed to escape. For the freeze dryer unloading and crimping processes, the isolator can be put into negative pressure as needed. 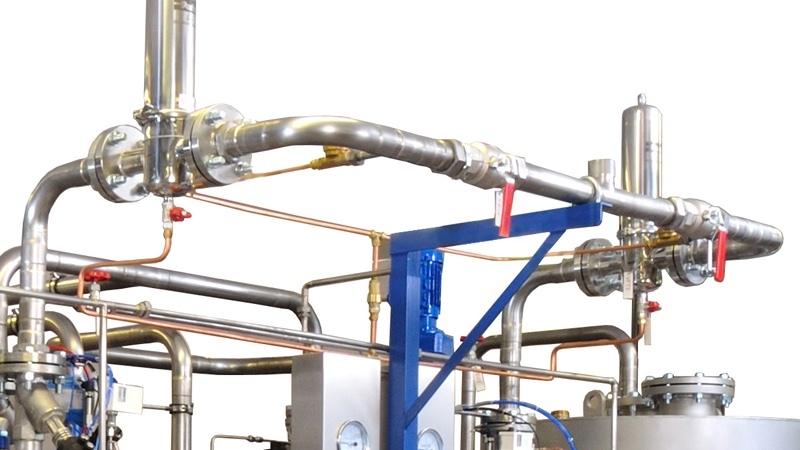 As a result, various pressure concepts can be employed for different products to best satisfy both GMP (product protection) and EHS (operator protection) requirements. 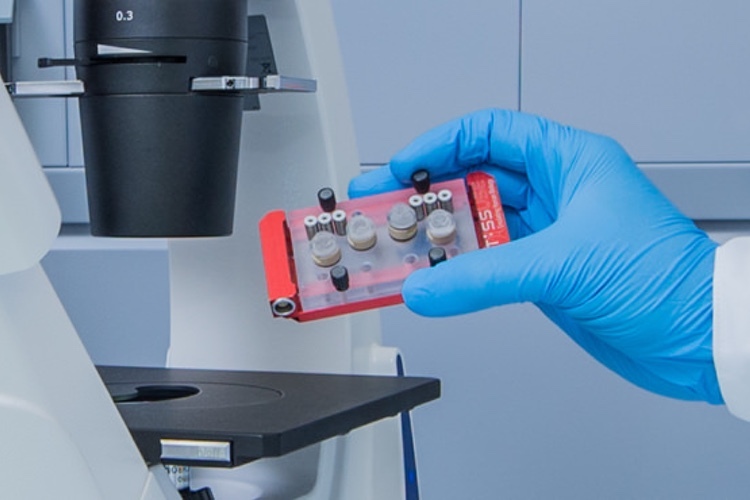 For highly potent products, a further filter is needed in addition to the H14 filter level in the isolator plenum: before the air returns to the plenum and potentially contaminates it, it is vital that it is filtered. To prevent contamination of the unidirectional airflow (UDAF) area, safe-change filters in the technical area are normally used to filter potentially toxic circulating air — an approach that has proven its value during the course of many years. However, these filters take up a great deal of room, are very expensive and extremely difficult to replace. In addition, the return air ducts have to be cleaned. Consequently, pharmaceutical manufacturers are seeking alternatives. One potential option is the use of return air filters at point-of-use for aseptic, highly potent isolator applications. They prefilter the exhaust air, precluding the spread of highly potent aerosols, which could, for example, be released through damaged packaging. By integrating the return air filter into the return air duct, both the installation space and the level of complexity are reduced to a minimum. The filter system can be opened and closed fully automatically. As a result, the filter can be quickly and easily changed without any tools. Ease of use is important, but not as much as safety: during filter changes, the operator never comes into direct contact with the potentially contaminated filter medium. The filter is safely enclosed in a sealed unit, which means it can be replaced without posing any risk to either people or product. The isolator cleaning process (washdown) represents yet another complex element; it involves numerous areas and steps, most of which have to be performed manually in the isolator chamber. Whenever feasible, the current trend favours (partial or full) automation. Yet, given the often highly complex machine contours and hard-to-reach areas characteristic of isolator applications, it’s much more easily said than done. Here, we see a further advantage of the return air filter: because the highly potent substances are already filtered at point-of-use, there is no need to separately clean the return air ducts using washdown equipment. When washing down the isolator chamber and the technology inside it, one goal is to uniformly wet down all the surfaces. The other goal is to use the least possible amount of cleaning media, which subsequently require special-purpose wastewater treatment. The external cleaning of filled containers is a different matter altogether. With toxic pharmaceuticals such as ADCs, health and safety considerations do not stop after filling. The sealed containers could potentially have trace residues of the medication on their surface, which would constitute a health hazard for anyone who touched them — from the machine operator and logistics personnel to pharmacists and hospital staff. As such, all lines processing highly potent pharmaceuticals should ideally include an external cleaning machine. The demand for ADCs and other highly potent pharmaceuticals will continue to rise in the years to come. Although there are still significant national and regional differences concerning their requirements, guidelines and implementation, one thing is certain: the need for barrier systems to safely and reliably process these substances will continue to grow. 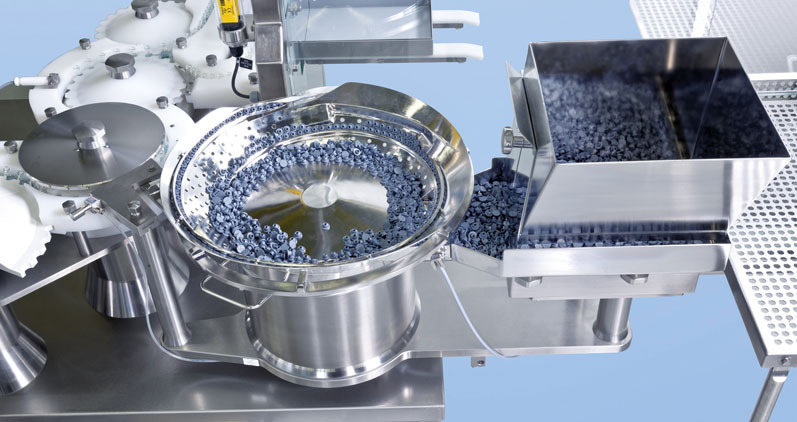 When it comes to selecting the most appropriate equipment, taking the barrier system itself and its compatibility with the remainder of the line into account, the harmonisation of all the inherent processes — from washing and sterilisation to filling, closing, external cleaning and inspection — will result in fewer weak points. The fewer the weak points a process has, the easier it is to ensure the optimal protection of both the operator and the product. 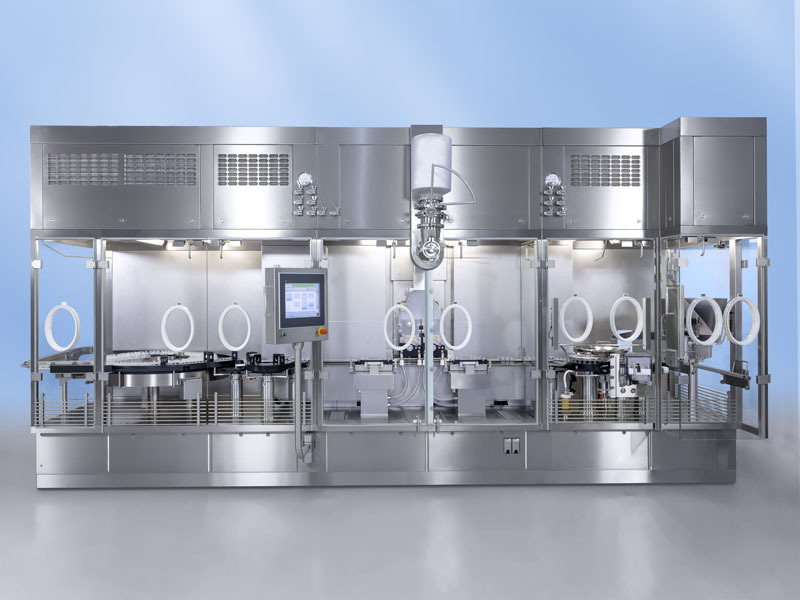 In addition, the right equipment, corresponding training for machine operators and clear standard operating procedures are essential — especially for new, highly potent biopharmaceuticals such as ADCs.